Then another bird walked through my field of view that didn’t look like the average peep. In fact, it didn’t look like a peep at all. It was a phalarope, a Red-necked Phalarope to be exact! As you can see, the White-rumped Sandpiper is still in the frame, but the focus has shifted! 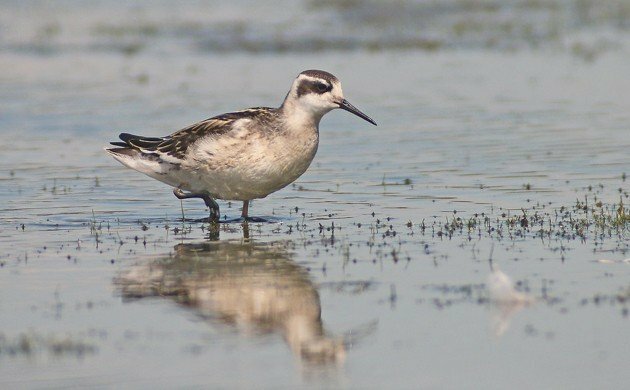 Phalaropes of any species are a good bird in Queens and this was only my fourth Red-necked Phalarope sighting in my home borough, my first since May of 2011. And here it was, perfectly comfortable foraging at relatively close range and I was already set up to digiscope it! The phalarope spent most of its time chasing bugs, one of which you can see it focusing intently on right here. Sometimes it went after subaquatic prey but I never managed to figure out what it was going for. 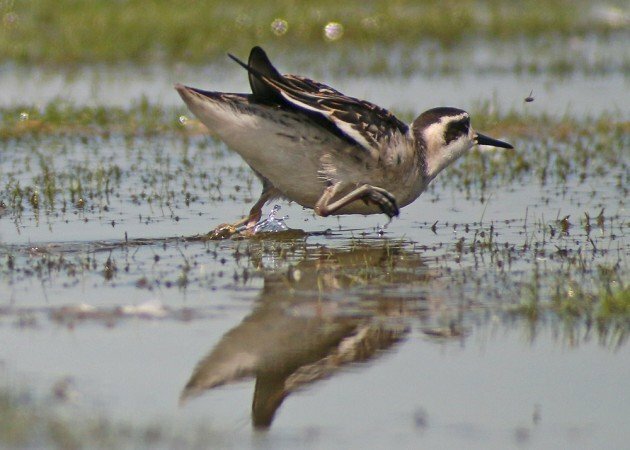 If you have never seen phalaropes foraging on land or in shallow water you are missing a show! They dash frantically, leaning forward in a crouch, before suddenly lunging. I tried to capture this behavior in the video below but it was difficult to stay with the bird and to keep it in focus! Please excuse the rather shaky footage but it was the best that I could do. 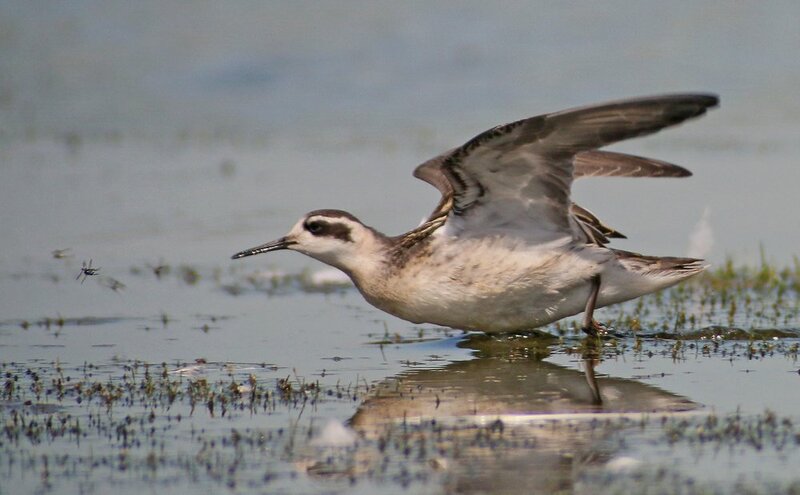 I was also amused to see the phalarope try several time to cast a pellet but it was unsuccessful so far as I could tell. It had caught and ate a lot of bugs so I imagine that it had quite a few hard bug bits it wanted to expel. You think the dry heaves are bad? Try having exoskeletons stuck in your throat! 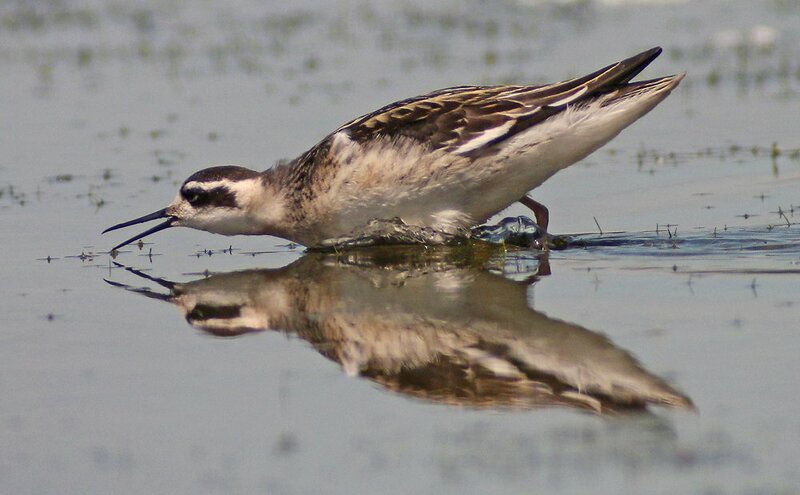 It was also nice to watch the Red-necked Phalarope take a break from foraging to preen. It was also much easier to get video of! Much better, no? 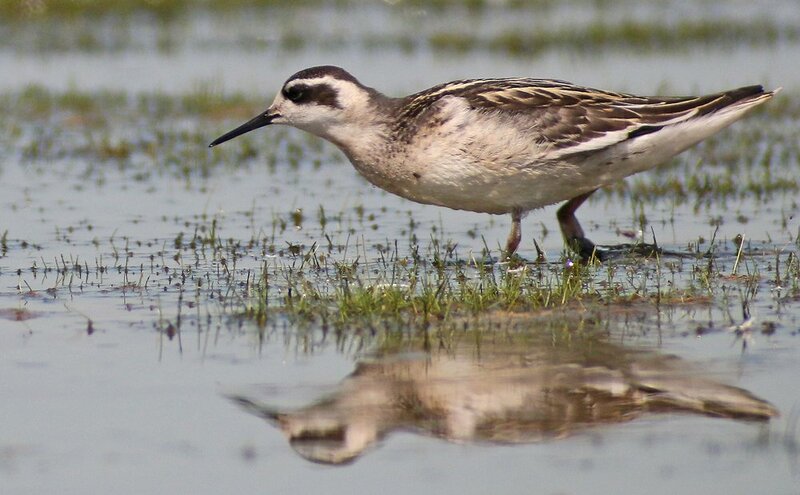 I could have sat and watched the phalarope all day long but I wasn’t so lucky. Shortly after I posted its presence to the listservs it took off and headed across the pond and then north along the west shore. I was hoping that it might stick at the north end but it was not seen again. 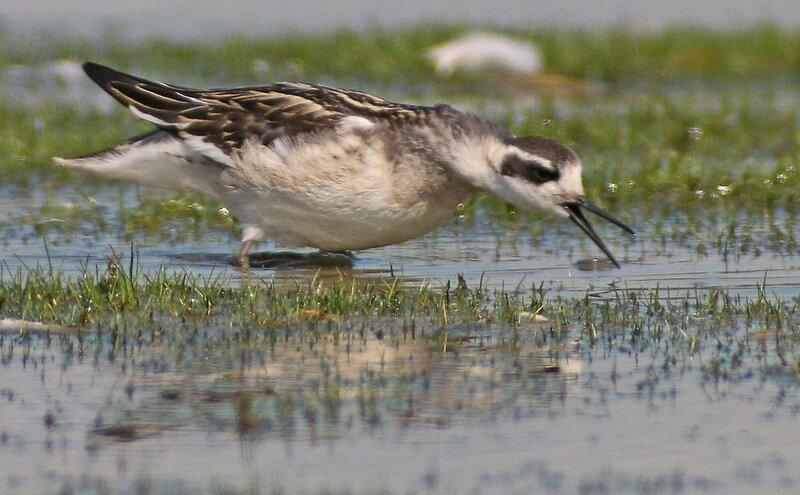 I would have liked for others to be able to see this Red-necked Phalarope. But you know what? 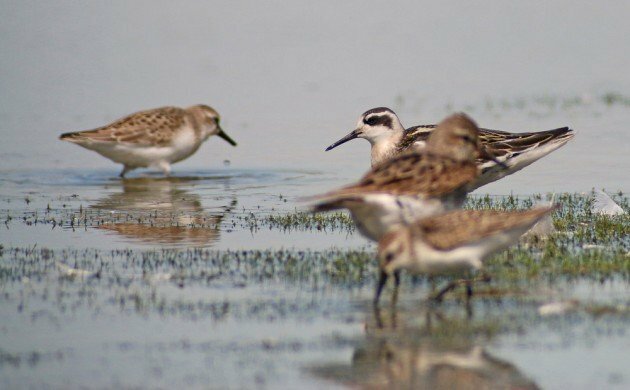 Single observer records are alright too, provided they are well documented!